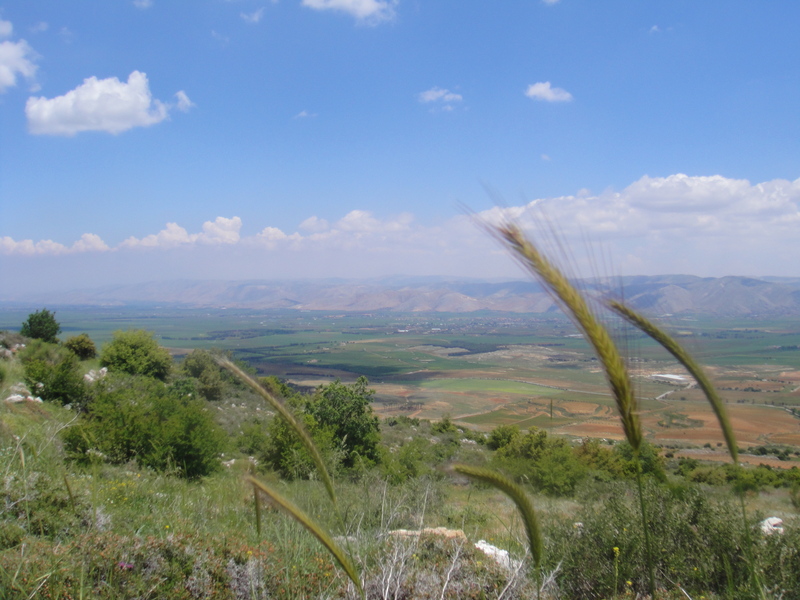 Despite its name, the Bekaa Valley is actually a high plateau between the Mount Lebanon Range and Jebel Libnan ash-Sharqiyya (Anti-Lebanon Range). 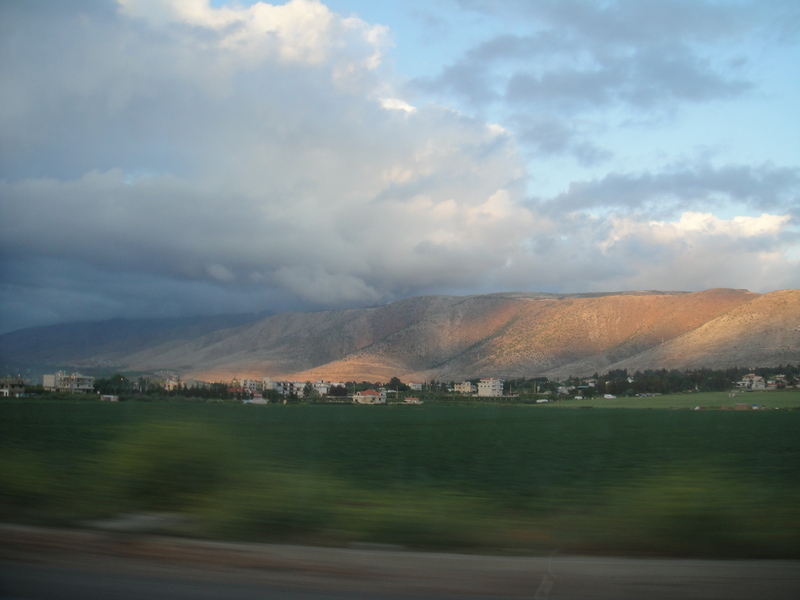 For thousands of years the Bekaa Valley, called “hollow Syria” by the Greeks and Romans, was a corridor linking the Syrian interior with the coastal cities of Phoenicia. The many invading armies and trading caravans that passed through left traces of their presence, which can be seen in a host of small sites across the valley, but most magnificently at the Umayyad city of Aanjar and the remarkable temples at Baalbek. 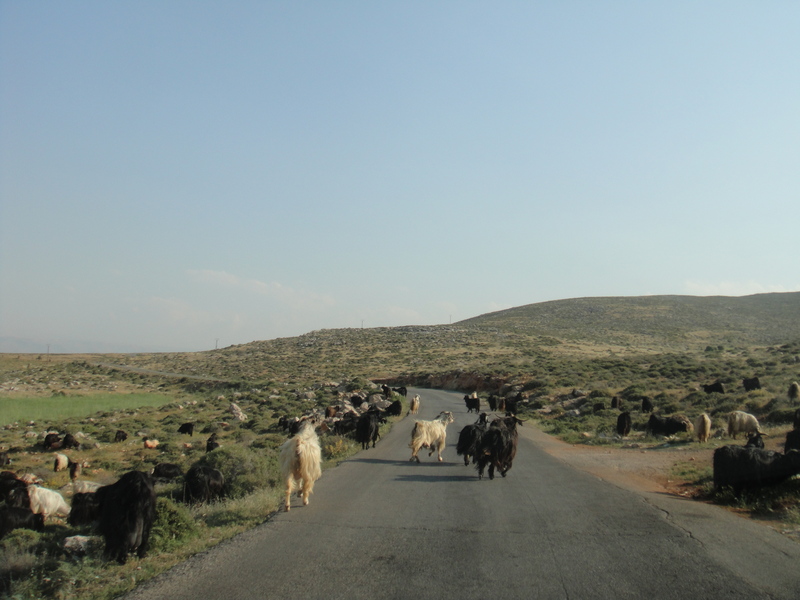 Not an uncommon road hazard in the Bekaa Valley… Are they goats or sheep? 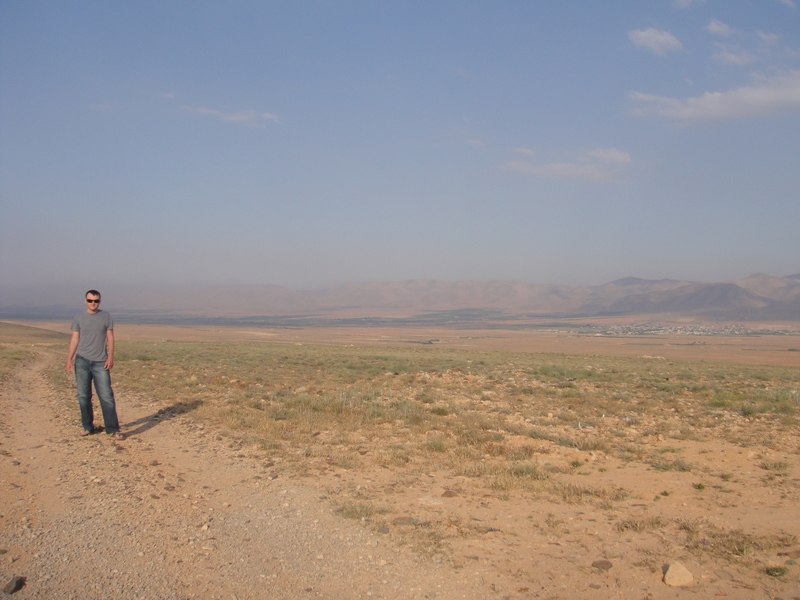 This is your editor standing against a background of the northernmost stretch of the Bekaa Valley… The Syrian border is in those hills just behind me. Armed Islamists, smugglers and Syrian rebels mix freely along the porous border which is stitched by roads, motorcycle paths and foot trails. 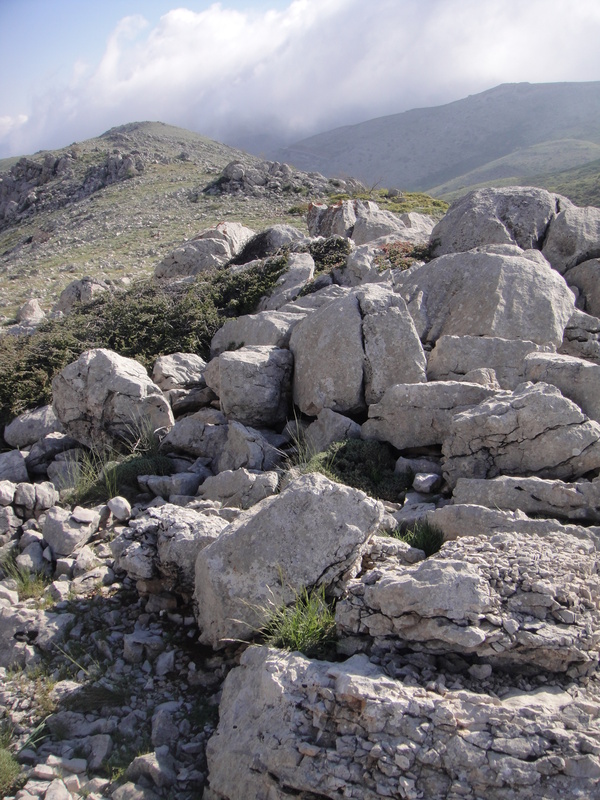 The Bekaa Valley was once the center of Lebanon’s hashish production. Throughout the civil war years, an estimated 10,000 tons of hashish were exported from Lebanon each year, a lucrative $500 million annual trade controlled by a cartel of just 30 Lebanese families. When Syria arrived in Lebanon, it got in on the act too, and used its tanks and artillery to protect the marijuana fields. In a bid for American respect around the time of the first Gulf War, Syria attempted to put an end to the industry, encouraging farmers to instead cultivate tomatoes, tobacco, potatoes and grain. The new produce, however, could not compete with cheaper Syrian goods; farmers’ incomes plunged and, unsurprisingly, some returned to their former, more lucrative trade. 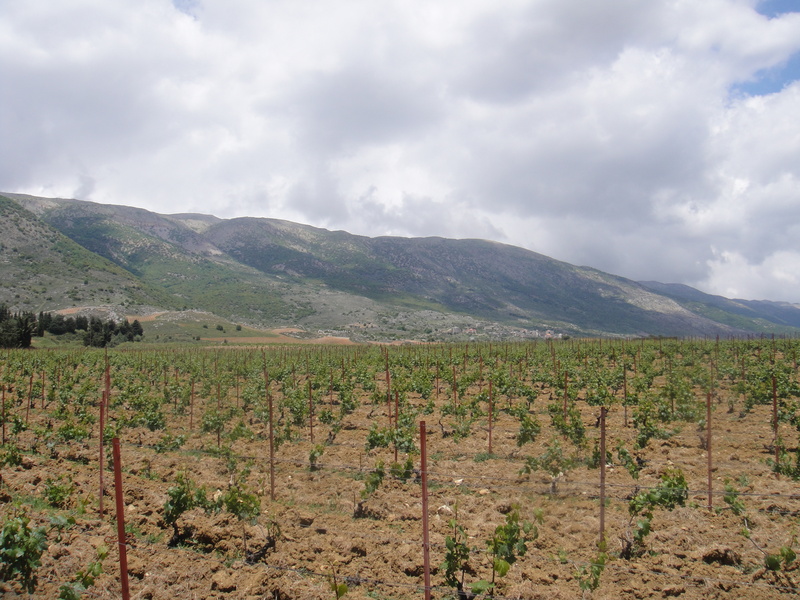 During the 1990s, Lebanese government crackdowns resulted in hashish crops being bulldozed, further injuring the industry and leaving some farmers destitute. 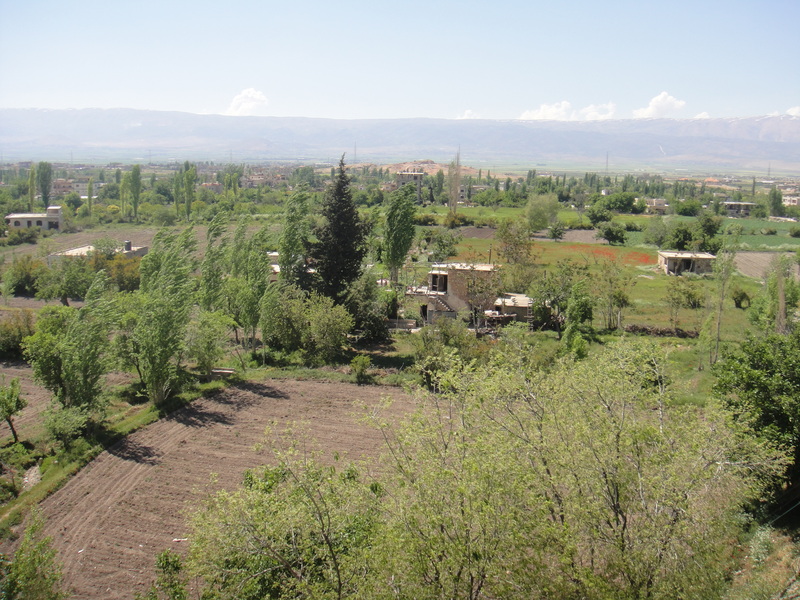 As a result of recent instability and the 2006 war, however, Lebanon’s government has turned its attention to other fields, and the Bekaa Valley’s are flourishing once more. According to the Lebanese we spoke with, 10 kilos of hash can yield a farmer $10,000, a sum unthinkable for any other crop. 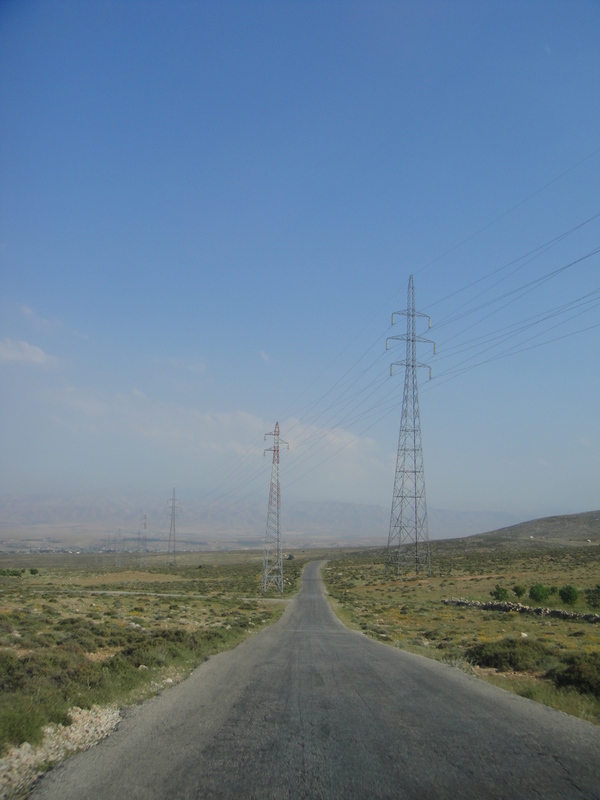 Most production is hidden away in the north of the Bekaa Valley, so one is unlikely to spot it while on the road. Though officially disapproved of by Hezbollah, the organization turns a blind eye to an industry that supports one of the country’s otherwise poorest regions, where farmers truly profit from being green-fingered. The Hezbollah business empire also extends into the drug trade. The Bekaa Valley, Lebanon’s central agricultural heartland, is controlled by Hezbollah and serves as a major center for growing poppies and cannabis and for producing heroin from raw materials arriving from places like Afghanistan and the Golden Triangle of Southeast Asia. 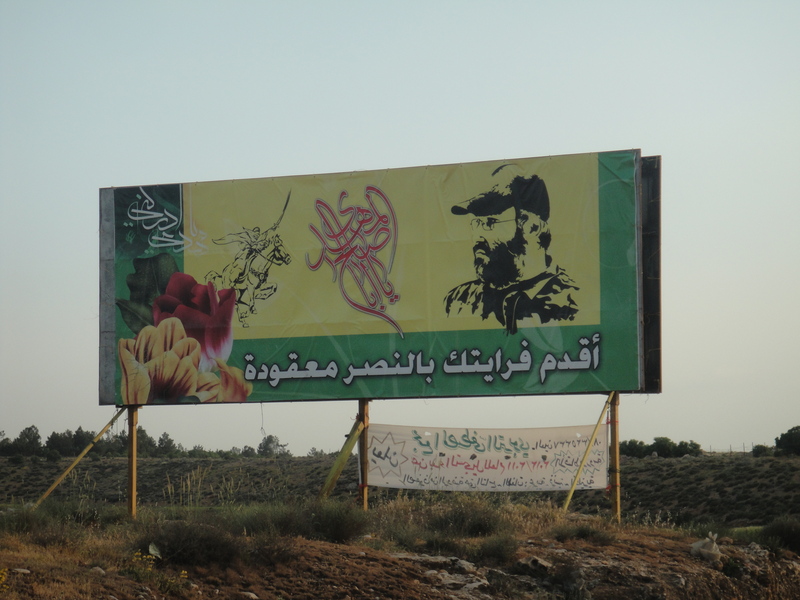 Indeed, Hezbollah controls a commanding percentage of the estimated $1 billion drug trade flowing out of the Bekaa. Much of the hashish and heroin emanating from there eventually arrives in Europe, where Hezbollah members also are involved in smuggling, car theft and the distribution of counterfeit goods and currency. 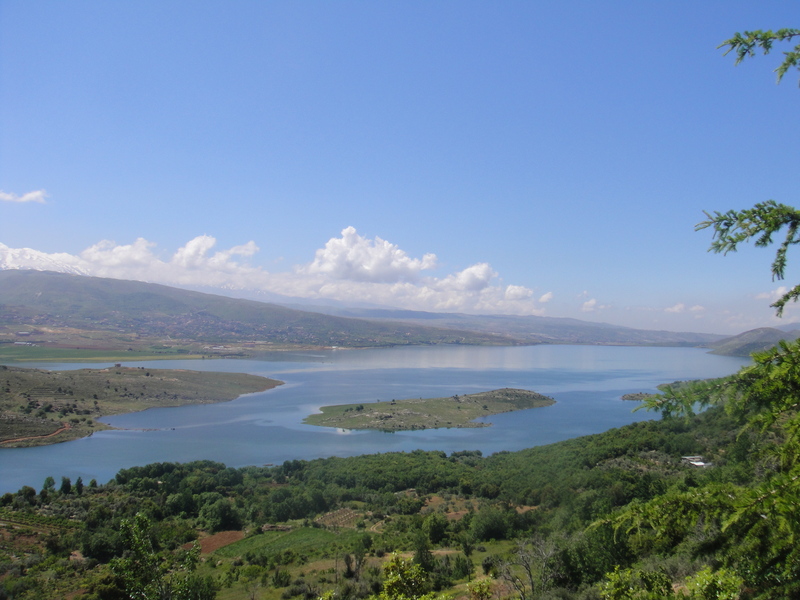 The Bekaa Valley has always been an agricultural region, fed by the Nahr al-Aasi (Orontes River) and the Nahr Litani (Litani River). In Roman times, this grain-producing area was one of Rome’s “breadbaskets”. Today, even though deforestation and poor crop planning have reduced the fertility of the land, the valley’s wines are famous throughout the region and are gaining global renown. As you can probably tell, the valley becomes greener as one proceeds south. Tags: Becca Valley, Bekaa Valley, Beqaa Valley, Chateau Kefraya, Hezbollah, Justin Ames, Lake Qaraoun, Lebanon, Litani River. Bookmark the permalink. To expand its operations in Syria, the rebel Free Syrian Army (FSA) must secure supplies of weapons, food, water and other necessities. The most important supply lines for the rebels — though also the most difficult to maintain — come from Lebanon. The Syrian regime has a vast intelligence network in Lebanon to try to constrict this critical line of supply, but increasing activity across the Lebanese-Syrian border does not bode well for the Syrian regime’s defenses at home or its position in Lebanon. The Free Syrian Army (FSA), a rebel force with a largely Sunni membership, has been trying to expand its area of operations in the Damascus suburbs and in the city of Zabadani in southwestern Syria, as well as farther north in the restive Sunni-majority cities of Homs and Hama. At the same time, FSA leadership has admitted it faces severe constraints in trying to hold territory. Rebel forces remain outgunned and outnumbered by Syria’s Alawite-dominated military. For the FSA to hold and defend territory in Syria, it will need reliable lines of supply for not only weapons, but also food, water, communication devices, medical supplies and other essentials. The most critical supply lines emanate from Lebanon, due to that country’s geographic proximity to the capital and surrounding rebel strongholds. The pervasiveness of Syrian intelligence in Lebanon makes Lebanese supply lines the most challenging to maintain. Nonetheless, Stratfor has received indications that the FSA is using Lebanese smuggling routes more frequently. Though Syria still has a wide network of covert assets in Lebanon to try to constrict these lines of supply, the ability of significant pockets of Syrian resistance to increasingly use these routes raises questions about Syria’s ability to balance between security needs at home and maintainance of Damascus’ strong intelligence presence in Lebanon. FSA rebels rely on two main Lebanese supply routes. One route moves from the Northern Bekaa Valley north toward Homs and, while another moves from the central Bekaa Valley, near the Anti-Lebanon Mountains, south toward Rif Damascus (the Damascus suburbs). Many of these smuggling routes were established decades ago to help Syria funnel arms and supplies to its proxies in Lebanon. Now, the reverse is taking place: Syrian rebels in Lebanon and Lebanese sympathizers are playing an active role in smuggling supplies to FSA cells in Syria. Despite the porous nature of the Lebanese-Syrian border, the FSA runs considerable risks in using these smuggling routes. 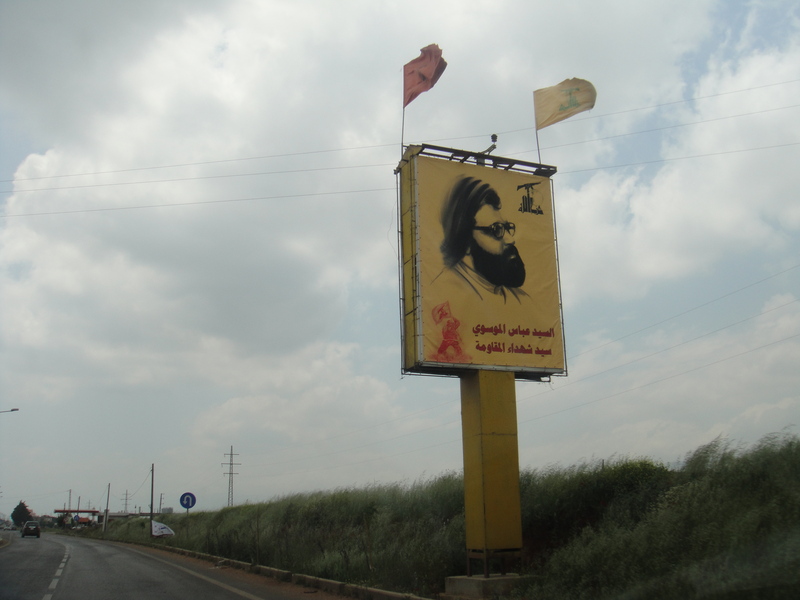 Syria’s main ally in Lebanon, Hezbollah, operates in much of the Bekaa Valley, and significant factions of the Lebanese armed forces patrolling the area work in tandem with Syrian intelligence. The mountainous border along the southern smuggling route poses the biggest natural barrier, but once inside Syria, goods flow much more freely. The Sunni-concentrated region of Homs in Syria depends heavily on supplies smuggled from northern Lebanon and the northern Bekaa Valley. Lebanese villages such al Al Fakiha and Arsal in the northern Bekaa have large Sunni populations and support the Future Trend party of Lebanese Sunni leader Saad al-Hariri. These villages have helped provide shelter to Syrian defectors and supplies to Syria’s insurgents. 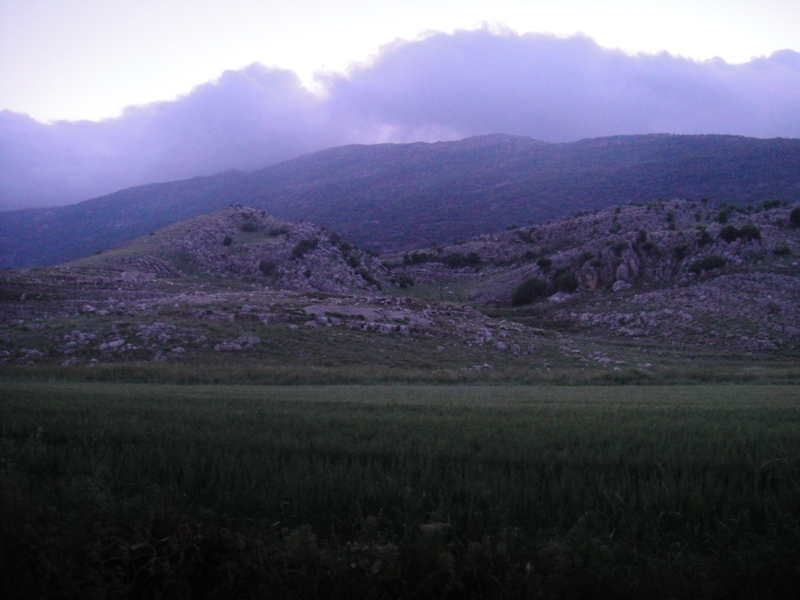 Additionally, the Al Qaa village in the northern Bekaa is a predominantly Greek Catholic town. Al Qaa is a center of support for the Maronite Christian Lebanese Forces militia led by Samir Geagea and plays an important role in the smuggling route from the northern Bekaa. 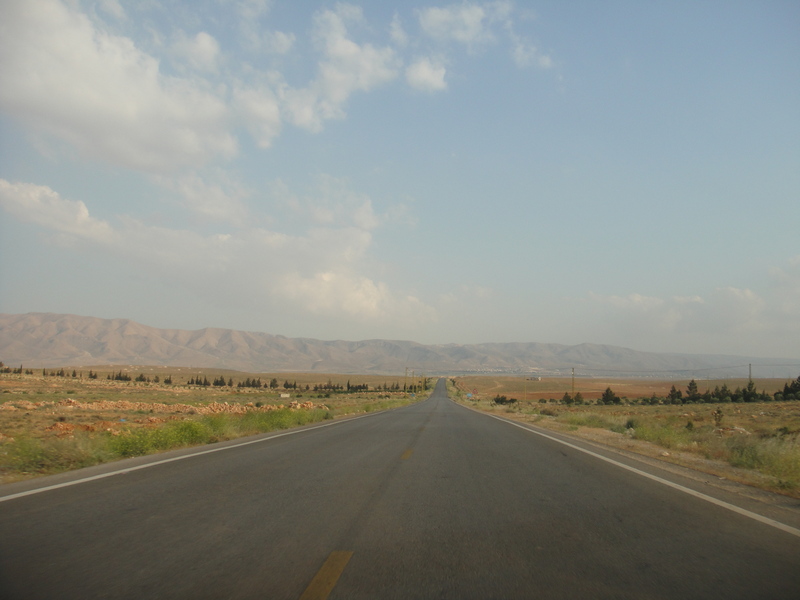 Several main roadways connect Homs to sympathetic towns in the northern Bekaa Valley, and numerous side roads run parallel to and complement each main road. 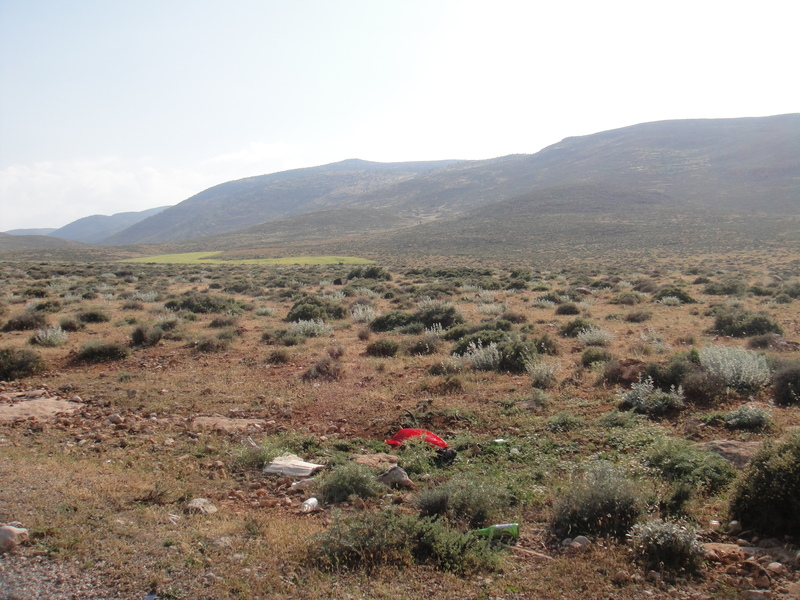 Furthermore, the border between Homs and the northern Bekaa region is highly porous. Located in a broad valley, this border area provides much less restrictive terrain and several possible points of entry along the border. Another route that could be used to smuggle supplies runs through the northwestern tip of Lebanon where the Quleiat airstrip is located. This corner of Lebanon is predominately Sunni, and there are rumors that Lebanese officials sympathetic to the FSA are preparing the Quleiat airstrip (also called Rene Mouawad Airport) to facilitate the movement of supplies into Syria. The airfield, which has not been in use since the outbreak of the Lebanese civil war in 1975, is being reopened, ostensibly for civilian aviation. According to Stratfor sources, the main reason for reopening the Quleiat airstrip, which is only 11 kilometers (7 miles) from the Syrian border, is to provide for Syrian refugees at a later point in the Syrian conflict — when rebel-held protected zones for civilians will require a steady stream of supplies. The proposal to reopen the airstrip is unsurprisingly eliciting resistance from some Lebanese officials, who seem to understand that supplies smuggled from this airstrip will likely make their way into the hands of the Syrian opposition. FSA rebels operating in the Damascus suburbs rely on the southern supply route that starts on the Lebanese side of the Anti-Lebanon Mountains near the central Bekaa Valley. 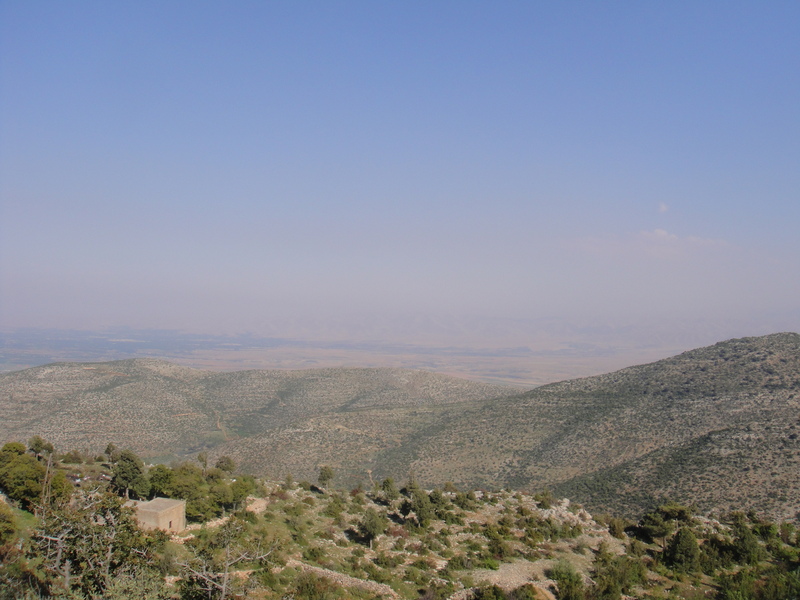 The most important smuggling route in this region runs through the Druze, pro-Walid Jumblatt town of Deir al-Ashaer, on the Anti-Lebanon mountain range. Several main roadways connect Rif Damascus to Deir al-Ashaer, but the most likely route for rebel supply lines runs through valleys and various passes throughout the Anti-Lebanon Mountains in an attempt to circumvent border checkpoints. Supplies reach Deir al-Ashaer from what is described as a distribution center in the Christian city of Zahle in the Bekaa Valley. Zahle receives supplies from Jouneih, the mostly Christian seaport city 15 kilometers north of Beirut. The southern route presents the most challenges. 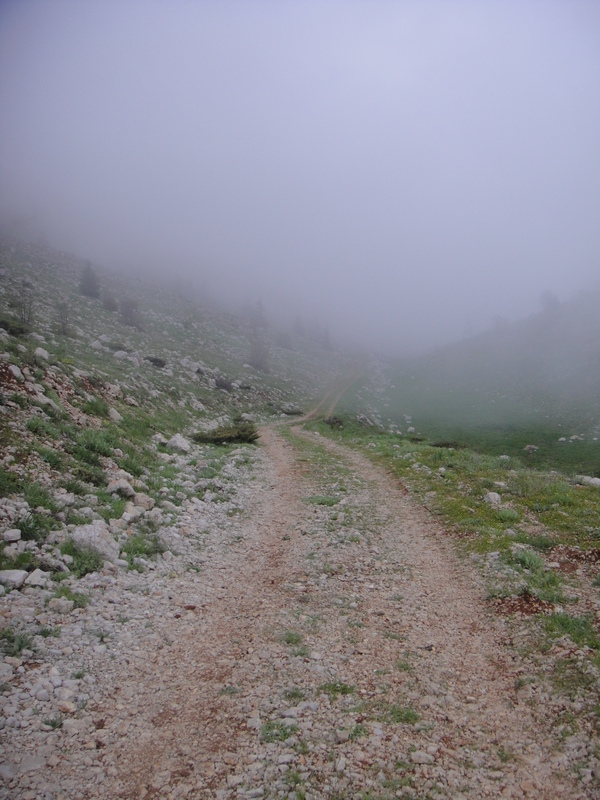 This route traverses mountainous border terrain defined by the 150-kilometer Anti-Lebanon Mountains. Given the rough terrain, supplies traveling along this route must be transported in quantities smaller than truckloads. Supplies must be smuggled through valleys, cross checkpoints with bribable guards, traverse dangerous back roads through the mountains, or be taken by foot or animal through mountain passes. Supply routes emanating from Lebanon are the most critical to the FSA, as they run closest to critical opposition strongholds in and around the capital and in the Sunni-majority cities of Homs and Hama. The porous Syrian-Turkish border is the safest for the FSA to cross. Ankara has already established several refugee camps for Syrians on the Turkish border and has been hosting the FSA and Syrian National Council leaderships. Foreign covert assistance to the FSA is also likely taking place on the Turkish side of the Syrian border, where stockpiles can be protected and Turkish armed forces can provide some cover for FSA rebels moving to and from Syria. The main drawback to these supply lines is that large stretches of land stand between Syrian rebels and opposition strongholds. Supplies have also been known to cross the Jordanian border to rebel areas in the southwest, such as Daraa. The east-west Syrian-Jordanian border is heavily mined and has limited, tightly controlled border crossings. Smugglers must either buy off border guards or take a 200-kilometer detour to the northeast-southwest line in the open desert. The route from Syria to the Iraqi city of Ramadi was an important line of supply for Baathist insurgents during the Iraq war, and smuggling networks remain. But supplies moving from Ramadi to Damascus, for example, must cover 650 kilometers. Supplies traveling the southern route from Lebanon need only move 30 kilometers. Not only does a longer route increase the expenses for moving materiel, but it also increases the chances of interdiction, especially because much of the distance must be covered on a single, paved road. The Syrian-Iraqi border is large and poorly defended. The terrain is mostly desert and relatively flat. Three main routes cross this border. In the north, Iraqi Highway 1 comes out of Mosul and runs northwest into Qamishli. In the south, Iraqi Highway 11 runs generally east-to-west between Ramadi and Damascus. At the border’s center, the Euphrates River Valley runs from northwest to southeast. Border control stations man all these crossing points, but the sheer size and openness of the border would make these easy to circumvent. The biggest problem with the Iraqi-Syrian border is the distance from the key hubs of resistance, especially compared to viable Lebanese routes. Syrian rebels could smuggle supplies from northwestern Iraq into larger Syrian cities such as Deir el-Zour, Al Hasekah and Qamishli. These cities lie close to the northwestern Iraqi and southeastern Turkish border (and each city claims to host at least one stationed FSA “battalion”). 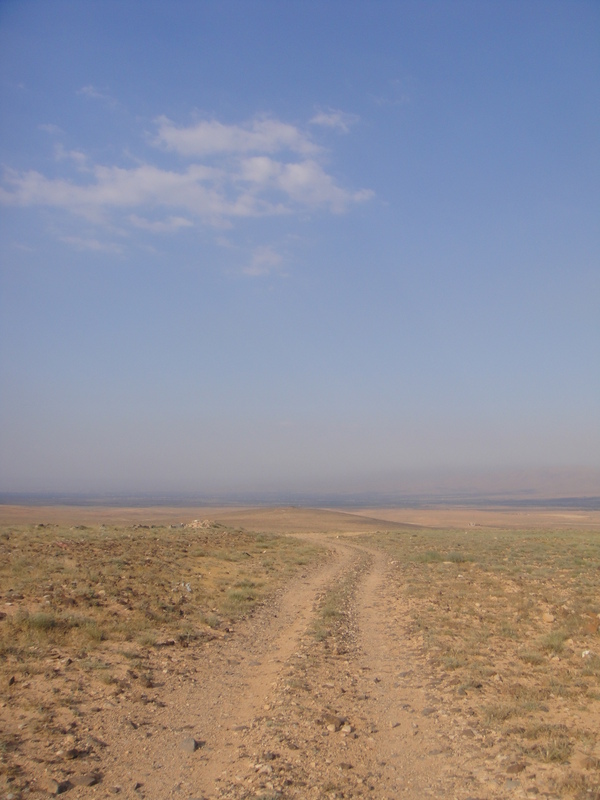 The terrain along the northeastern Syrian border is predominantly flat, with alternating farmland and desert. Several sister cites straddle the border in the region. This terrain does not allow the driving of mass quantities of material directly across the border, but through known paths, material could reach vehicles waiting on the other side. 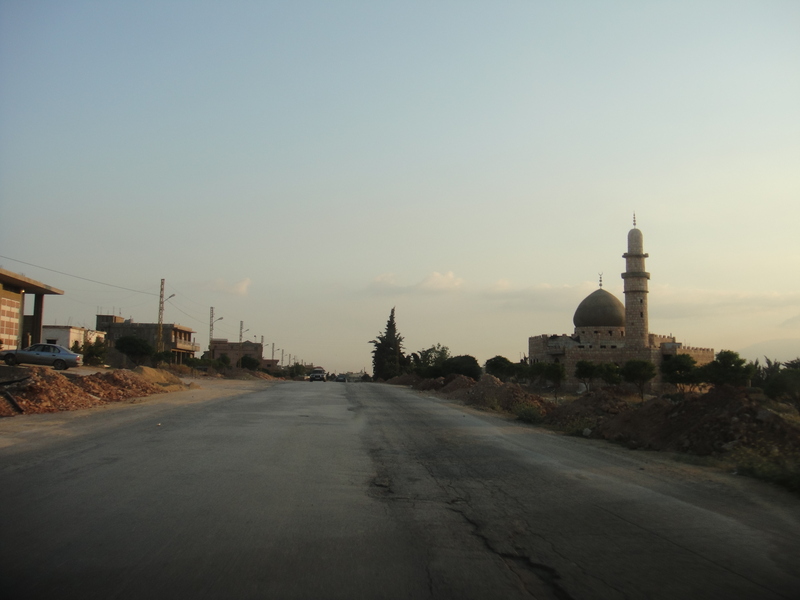 In any event, these isolated cities are not at the heart of the Syrian resistance movement. They are too far from the larger hubs of that movement to serve as a good base of operations: the city of Aleppo sits another 400 kilometers west across sparsely populated central Syria. Established smuggling routes seek the path of least resistance and try to connect to the closest available provider of material to the nearest FSA “friction point:” southern Lebanon to Damascus’ outskirts, northern Lebanon to Homs and southern Turkey to Aleppo. Syria is not without options in trying to constrict rebel supply lines emanating from Lebanon. After all, Syria has spent decades developing a vast network of intelligence operatives, political allies and militant proxies to defend its interests in Lebanon. Best illustrated by the vehicle-borne improvised explosive device that killed former Lebanese Prime Minister Rafik al-Hariri in 2005, targeted assassinations are commonly used by Syria’s intelligence apparatus to deal with dissidence in Lebanon. In fact, a recent assassination attempt against Wisam al-Hasan, chief of the information section of the Lebanese Internal Security Forces (ISF), bears the hallmarks of a Syrian intelligence operation. According to a Stratfor source, Jordanian intelligence agencies uncovered the plot and alerted Lebanese authorities. The ISF is a predominantly Sunni organization in the Lebanese security apparatus, and Hasan is known to be close to the al-Hariri Sunni leadership. Lebanese media linked the assassination attempt to the ongoing investigation of the ISF information section into the al-Hariri murder. But Stratfor has learned that Hasan has played a critical role in smuggling arms from Lebanon to Syria, providing a haven for Syrian defectors in Lebanon, and allowing FSA rebels to use Lebanese territory as a staging ground for attacks in Syria. His role in the Syrian opposition movement would make him a prime target for Syrian intelligence. Syria’s allies in Hezbollah have been assisting Syria’s crackdown efforts by kidnapping and intimidating suspected FSA collaborators in Lebanon. 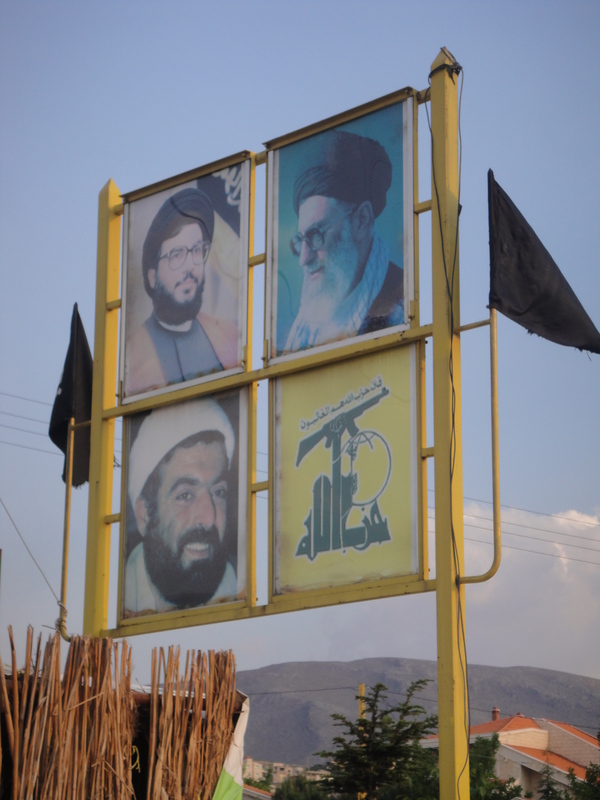 Iran’s Islamic Revolutionary Guard Corps presence in Lebanon and Syria is also believed to be crucial in reinforcing the Syrian regime’s efforts to track down FSA rebels and their sponsors. However, it remains unclear whether the network that Syria has long relied on to maintain a dominant position in Lebanon will be enough to meaningfully curtail support for the FSA, particularly as the rebels involve sympathetic Sunni majorities near the border. The large amount of resources needed to combat resistance at home may be undermining Syrian intelligence efforts beyond its borders and giving the FSA the space it needs to build up its defenses in Syria. 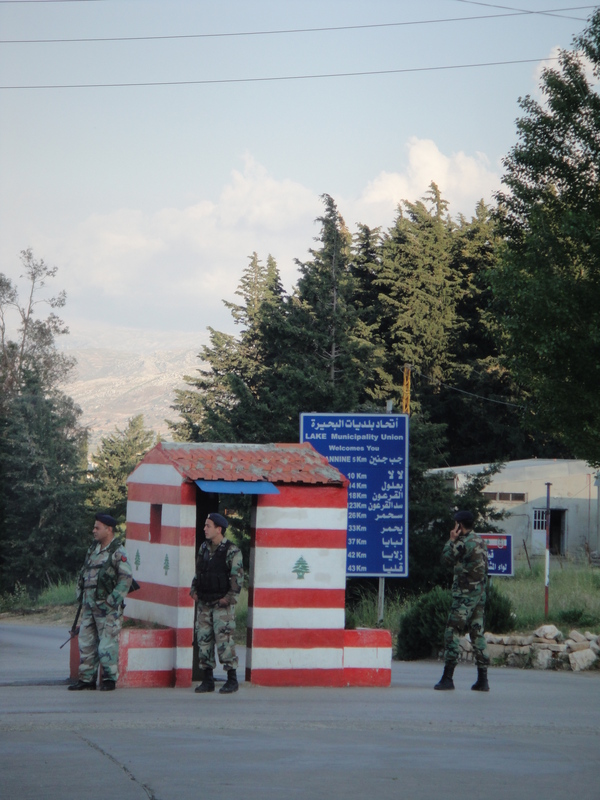 Any rebel supply lines from Lebanon will remain inherently vulnerable to the Syrian regime, but the apparently increasing rebel traffic across this border does not bode well for Syria’s defenses at home or for its position in Lebanon.